Ella Neely drives baseline during Butler’s 64-28 win over Xenia on Friday. Gracie Price puts up a three-pointer during Butler’s 64-28 win over Xenia on Friday. Jacie Dalton eyes a three-pointer during Butler’s 64-28 win over Xenia on Friday. Olivia Follick brings the ball up court during Butler’s 64-28 win over Xenia on Friday. Tyree Fletcher, who lead the Aviators with 14 points, pulls down a rebound in traffic during Butler’s 64-28 win over Xenia on Friday. 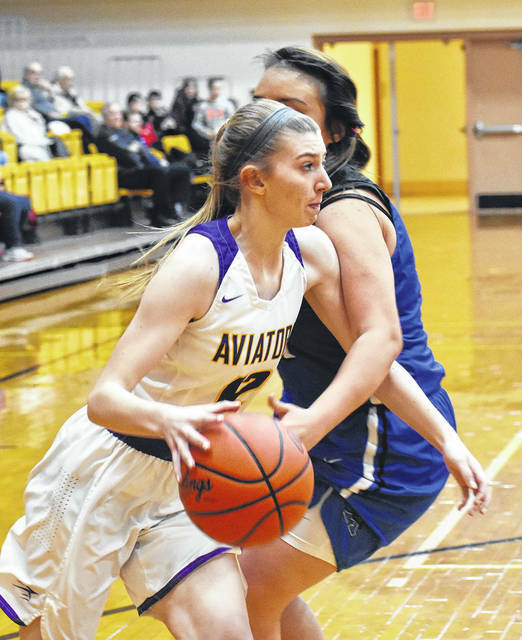 VANDALIA — The Butler Lady Aviators jumped out to a 10-0 lead on the visiting Lady Buccaneers of Xenia Friday night and saw 8 players score in a 64-28 win in Greater Western Ohio Conference American play. 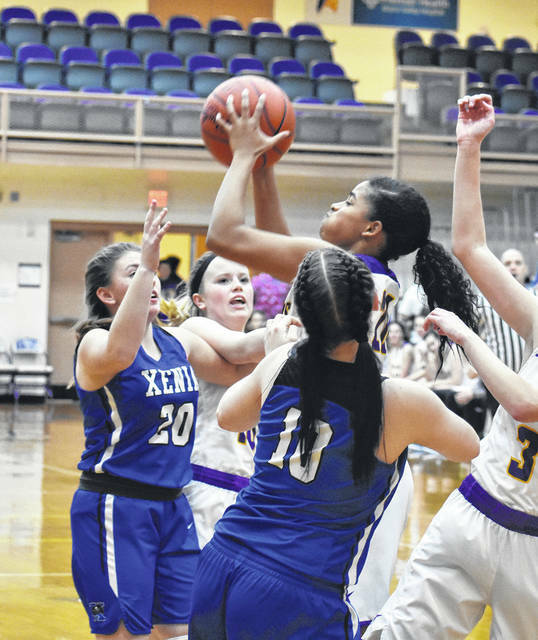 The Aviaors unofficially forced Xenia into 17 turnovers while hitting a season-high 9 three pointers while improving to 8-8 overall and 6-4 in GWOC play. The Buccs fell to 1-14 overall and 1-8 in league play. Friday’s contest, moved due to the impending winter storm, was never close. Butler jumped to a 10-0 lead on a pair of free throws by Abbie Schoenherr, a three by Jacie Dalton, basket by Tyree Fletcher, and another three, this one by Gracie Price, and Xenia was forced to call time with 5:20 to play in the first period. Butler coach Molly Bardonaro was especially pleased with bench play in the game and so many players scoring. 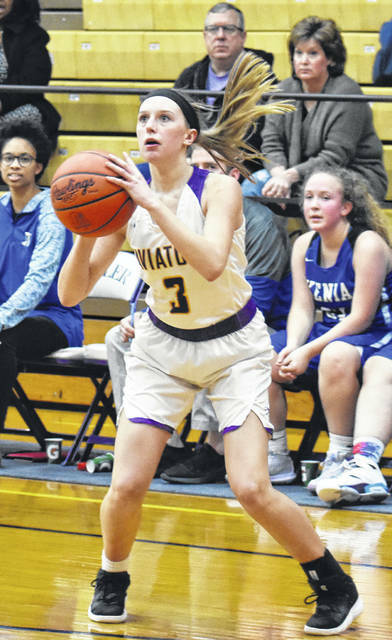 Xenia finally got on the board on a free throw by Olivia Wakefield and a three by Brynna Mardis to cut the Aviator advantage to 10-4. 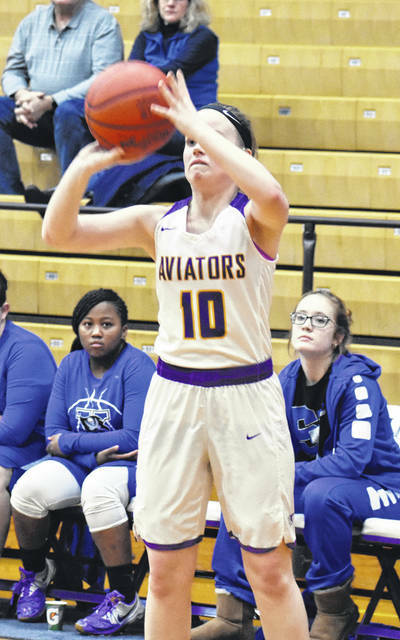 A basket by Kamea Baker along with a pair of free throws kept Xenia close at 14-8, but the Aviators scored the last four points of the first quarter to lead by 10 at 18-8. Baker led the Buccaneer attack with 12 points while Mardis scored 10. The Aviators started fast in again in the second period as Dalton and Price again connected from beyond the arc. A basket by Fletcher gave the Aviators an 8-0 run which forced Xenia to call time. It didn’t help, as the Aviators eventually went on a 22-0 run to open the period and outscored Xenia 25-5 to take a 43-13 lead at half. As often happens, the team with a big lead came out sloppy to open the second half. Xenia opened the half on a 7-1 lead which prompted Bardonaro to call time to refocus her team. A three from just inside the mid court line by Dalton gave the Aviators a 51-22 lead heading into the final frame. Butler outscored Xenia 13-4 in the fourth quarter to set the final score. Four players scored in double figures for the Aviators. Fletcher led Butler with 14 points followed by 12 for Price, 11 for Schoenherr, and 10 for Dalton. The Aviators enter the final third of their season playing some of their best basketball of the season. 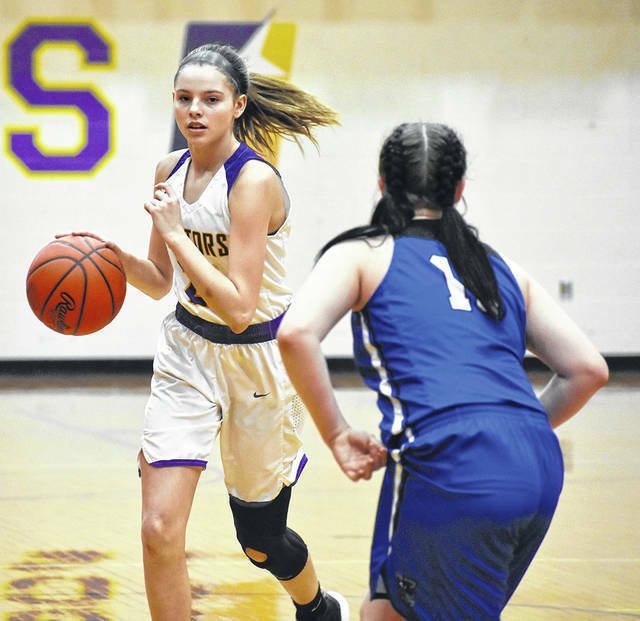 “We have the final round of the GWOC North starting next Saturday and we need to really hone in on specific things and expect perfection,” said Bardonaro.